Losing your baby in a miscarriage after conception is definitely very traumatic. But, remember it is not the end of the road. In fact the chances of having a healthy baby the second time is more. Read below to get all your doubts cleared about pregnancy after a miscarriage. 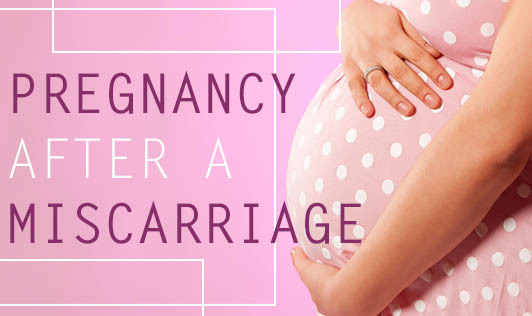 Most miscarriages happen during the early stages of pregnancy and only about 1-2% happens after 12 weeks of gestation. You can start planning your next pregnancy 2-3 months after a miscarriage. Utilize this time in the best possible way to prepare your body and mind for the next conception. • It is time to move your body and indulge in a regular 30minutes exercise regimen. • Follow a balanced diet and start with nutrient supplements if your Doctor asks you to go for one. • Relax and keep your stress levels low. • Stay away from smoking and alcohol.